Supplier & Manufacturer of Hydraulic Pipe Crimping Machine. Our product range also comprises of Hose Crimping Machine, Control System and Roll Marking Machine. 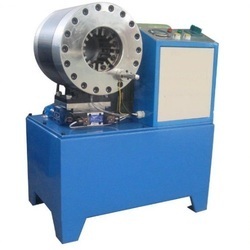 We are well known for offering Hydraulic Crimping Machine to our clients.